Jairampur police seized 10 Grms Brownsugar from one Lemsham Longri today. 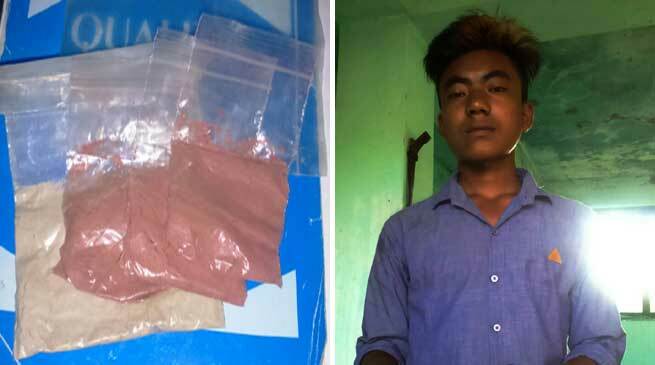 The Officer In charge of Jairampur Police station, Umesh Chand said that the Brownsugar was kept under the cover of the petrol tank of his Motor Cycle. According to police, it had information about the drug peddling. During the interrogation, Longri said that he brought the Brownsugar from Assam and planned to sell it in Jairampur. Police arrested Longri who is a resident of New Khamdu village of Jairampur, and a case has been registered against him.